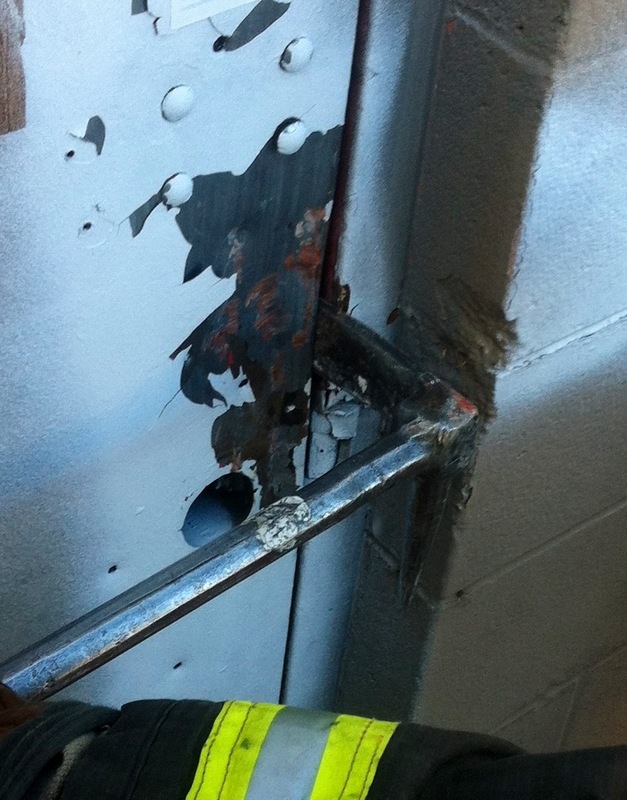 Commercial outward swinging doors can be some of the most difficult forcible entry situations due to the locking systems and added fortification but what is often overlooked in training is access challenges. 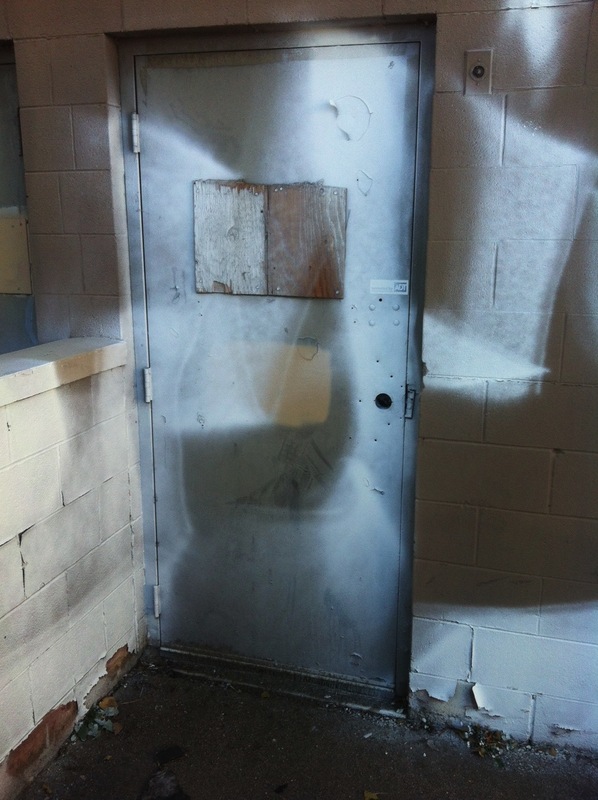 This outward swinging door on the back of a commercial building has a half wall on the hinge side and the jamb side is recessed in the masonry block. While few would consider the “confined space FE” it still limits our working area. The half wall may prevent the use of a married hook here and the recessed jamb limits the prying ability of our adze. You can see that the Halligan is going to max out before we even use half of our full prying range of this bar, this could easily prevent us from getting enough leverage to force the door. The upside to this situation is that end of row bricks and block are very weak points and can be blown out easily with a strike to the corner with the flat head creating ample room for a full force. 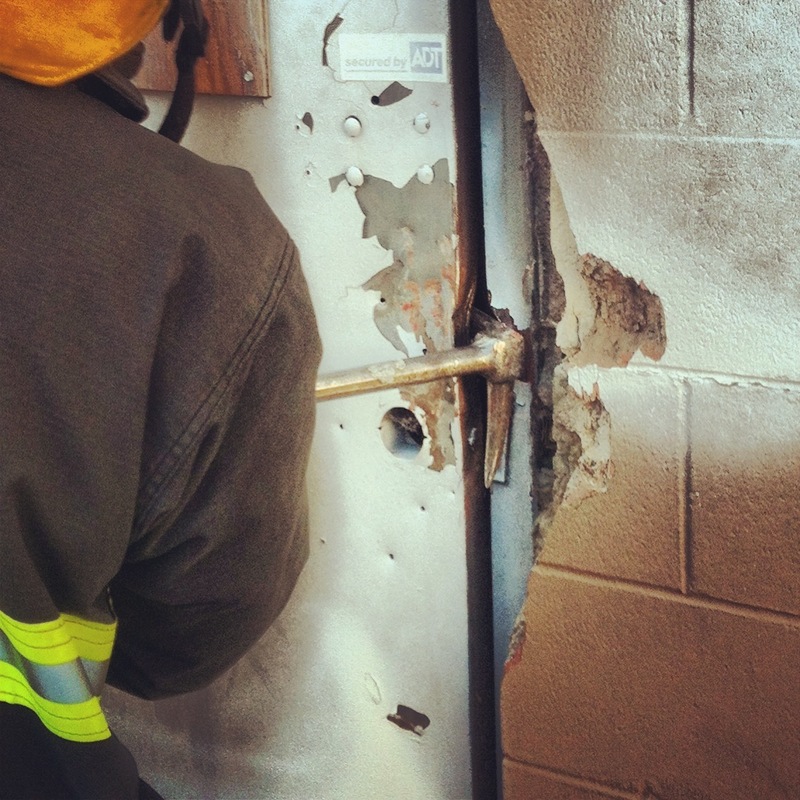 You can now return to your Halligan and properly set the tool all the way behind the door. When you pry outwards you will have the full range of motion and gain the maximum amount of pry and throw from your Halligan. This can be difficult to fully explain and see the advantage of this tactic in photos. Below is a quick video showing how effective crushing the block can be. This entry was posted on 11/12/2013 at 4:44 pm and is filed under 1. 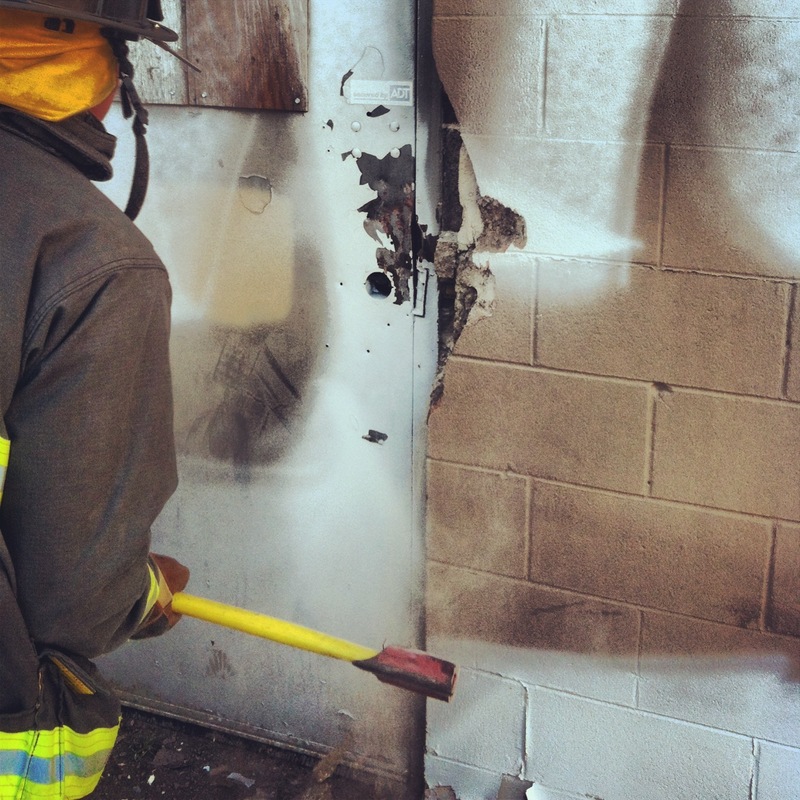 Forcible Entry. You can subscribe via RSS 2.0 feed to this post's comments. Reblogged this on Smooth Bore Tip. Good video of easy it was to break out the brick corner next to the wall on the “Outward Swinging Door Forecable Entry” but the FF should be wearing PPE.